Tata Motors Tata Motors expects demand for trucks to remain strong for the next two years on back of the improving performance of the core sectors, pick up in infrastructure projects and implementation of BSVI emission norms in 2020 that is likely to prompt transporters to advance purchase, said Girish Wagh, head of truck and business at Tata Motors. Truck sales in India - a proxy for economic activity, have been on a rise in eight out of nine months of the current financial year. Tata Motors’ heavy-duty truck factories in Jamshedpur, Pune and Lucknow which are nearing its peak capacity are set to hit the optimum level by March-end, said Wagh pointing out that while it’s normal for truck plants to run at peak capacity in the last quarter of financial year, it’s unusual for the second and third quarter to be so busy. 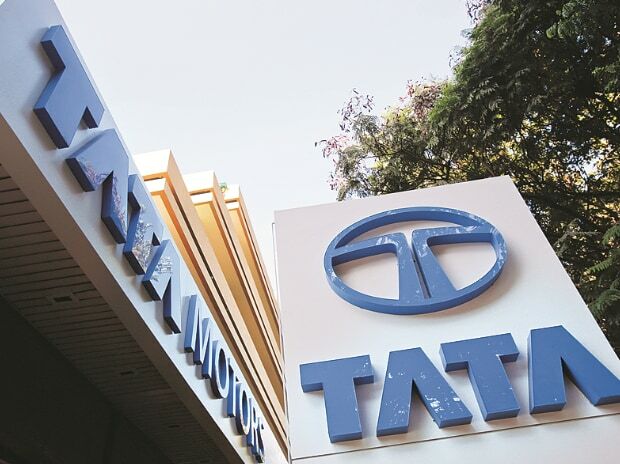 Tata Motors is in the process of de-bottlenecking its plants to step up production at the existing units. The maker of Ace and Prima trucks has an installed capacity of .75 million units per annum capacity across its five units. Meanwhile, to be able to ride the strong demand, the truck market leader plans to unveil 15 new commercial vehicles across the range at the upcoming Delhi Auto show. This will include an electric bus, a new small and heavy-duty trucks based on a completely new platform. “We see lot of green shoots at the ground level,” said Wagh referring to recent statistics on core sectors that include coal, crude oil, natural gas, refinery products, fertilizer, steel, cement, and electricity and the purchasing manager’s index. An output from the aforementioned eight sectors in the country rose 6.8 per cent in November, a 13-month high, as compared to the five per cent rise in October, indicating a possible revival in industrial production growth. India's factory activity expanded at the fastest pace in five years in December, according to an I.H.S Markit survey showed on 2 January. “The growth in all these sectors pointed out Wagh will fuel demand for heavy-duty trucks. “The commercial vehicle industry, despite a poor first quarter has advanced by 16 per cent in the first nine months to the current financial year over a year ago period, within that the growth in medium and heavy commercial vehicle (MHCV) segment has grown 18 per cent,” said adding that expects the upswing to continue for the next two years. Tata Motors’ (MHCV) truck segment, however, has not been able to fully capitalise on the positive macro-economic parameters owing to supply related constraints. Even as company’s volumes in the segment have grown at a brisk pace its market share has dropped, albeit marginally. Sales of company’s heavy duty trucks (those between 16 tonne to 49 tonne) rose 14.6 percent to 102671 units in the nine months to the current financial year over a year ago. However, its market share dropped to 51.75 per cent from 52.57 per cent in the same period, according to Society of Indian Automobile Manufacturer (Siam). To be sure, the CV business is Tata Motors’ cash cow and accounts for more than seven out of ten rupees earned by the India business. A steep decline in market share and volumes of MHCV trucks at the end of financial year2017—from 58 per cent in financial year 2015 to 53 per cent in 2017, had set the alarms bells ringing in company’s boardroom. To get the business back on track, over the past one year, Tata Motors has taken several initiatives ranging from launching an attractive transferable warranty scheme--- 600,000 kilometres or 6 years and enhancing customer engagement to sprucing up the service quality. It had also set for itself a cost saving target of Rs 10 billion by the turn of the current financial year. Wagh said the turnaround efforts have started paying off and will be visible by end of the financial year. On an average, the capital expenditure of company’s CV business has been Rs 15 billion. This is set to go up further in the run up to the BSVI implementation said Wagh.